Marketplaces and prices shown matched UPC number 887961540826 during our search. 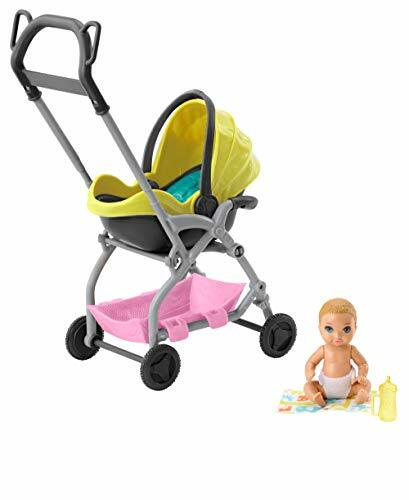 Includes Barbie ice skater doll, Barbie chef doll, Barbie pet vet doll, Barbie tennis player doll and Barbie pilot doll wearing fashions and accessories, plus career-themed pieces. Each wears a career-themed outfit and has two accessories to play out real-world and imaginary stories. The Barbie brand serves a purpose to girls as they try on different personalities, careers, and explore the world and all of its possibilities without ever having to leave home! Dolls can not stand alone. Dream big with five Barbie career dolls together! Barbie doll can take on any goal, and young imaginations can tackle them with her. 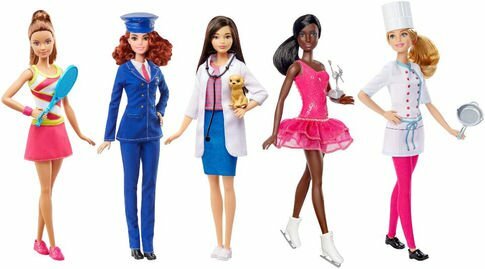 Explore ice-skating, cooking, healthcare, tennis and pilot careers with the Barbie ice skater doll, Barbie chef doll, Barbie pet vet doll, Barbie tennis player doll and Barbie pilot doll! Each wears a career-themed outfit and has two accessories to play out real-world and imaginary stories. Tell tales for one doll or weave them all into one - there are so many opportunities with five Barbie dolls together! Young minds will love playing out aspirational stories and exploring all of the opportunities because with Barbie, anything is possible! Includes Barbie ice skater doll, Barbie chef doll, Barbie pet vet doll, Barbie tennis player doll and Barbie pilot doll wearing fashions and accessories, plus career-themed pieces. Dolls cannot stand alone. 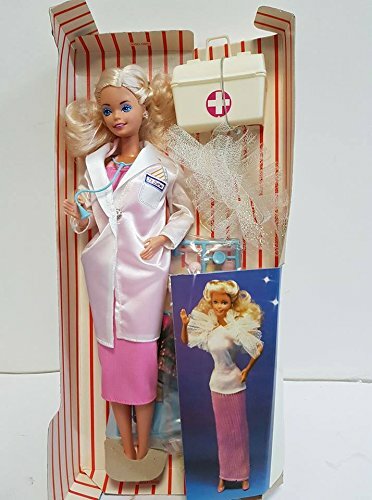 Barbie Doctor Doll - Changes from Doctor to Glamorous Date!